QETLabs researchers and PhD students showed the public demonstrations of optics and its use in encrypted communication systems (pictured above: Lawrence Rosenfeld). 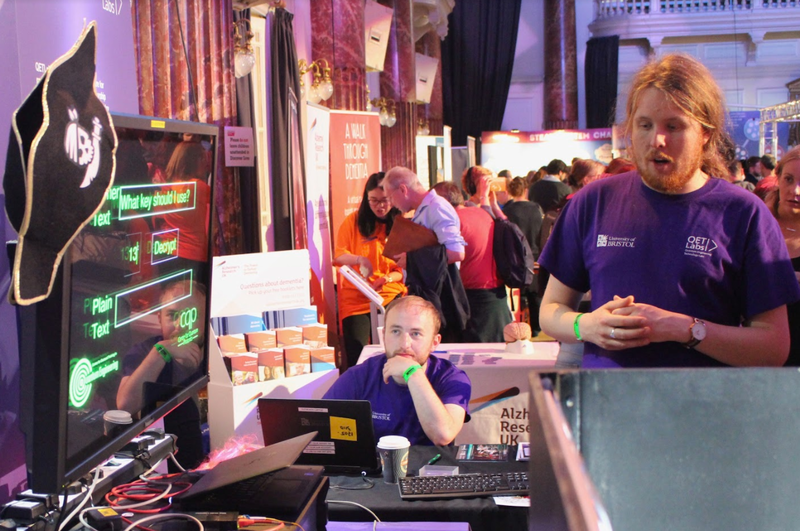 Researcher Jake Kennard (left) and organiser and researcher Alasdair Price (right) ready to decode! 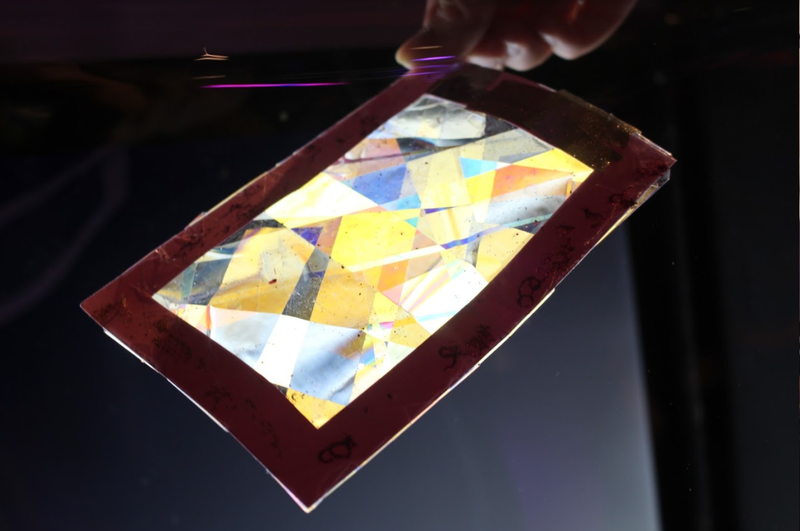 A demonstration showing the birefringent properties of sticky tape observed through a linear polariser. 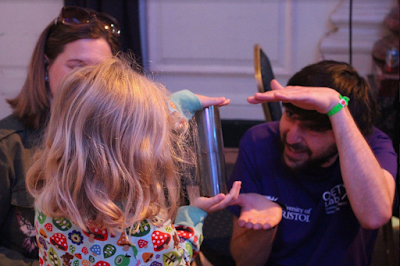 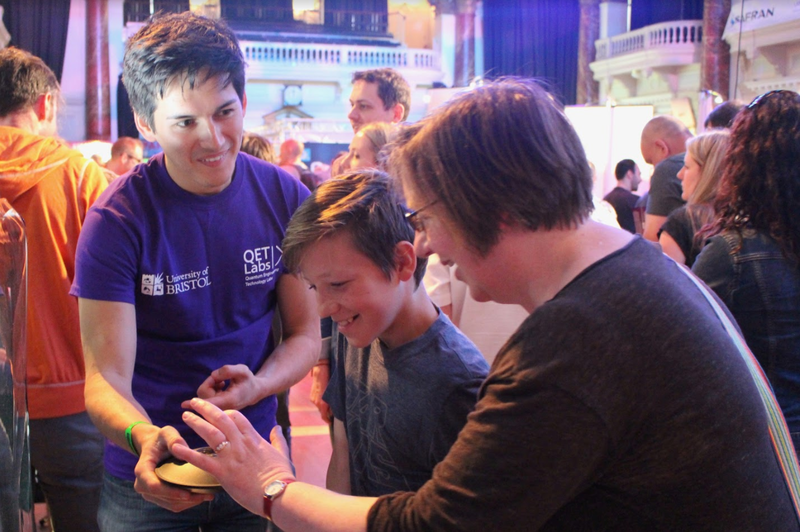 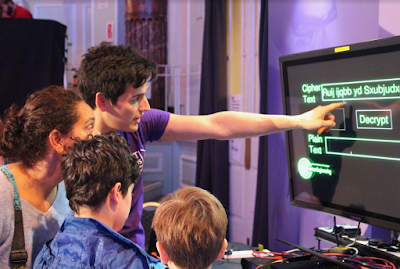 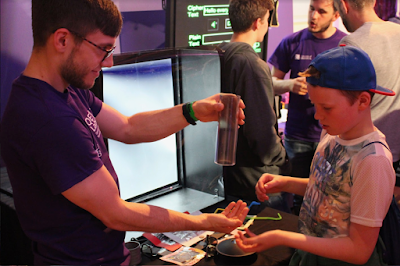 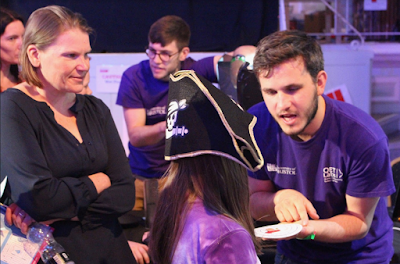 Outreach events are fundamental to inspiring the next generation of scientists, and communicating to a general audience the importance of our research. 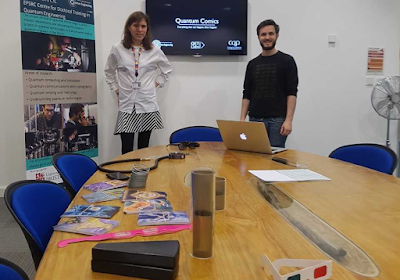 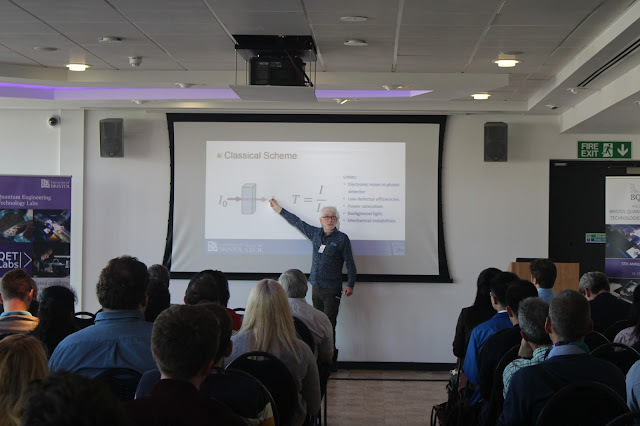 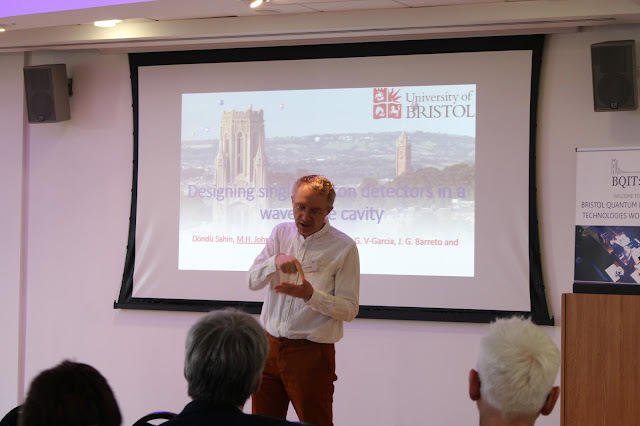 If you would like to find out more about our research visit http://www.bristol.ac.uk/physics/research/quantum/.